Good afternoon, folks! It's a lovely, blustery 50 degrees today. And, I have strong coffee brewing. 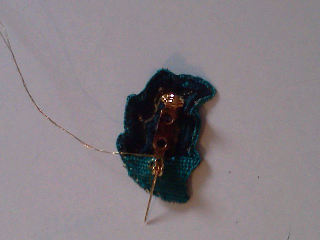 I'm finishing the teal/peacock brooch today. It's part of the package heading up to Meredith gallery, of the League.